Products of the domain : Château Brane-Cantenac. The Château de Brane Cantenac has an exceptional terroir (the plateau of Brane) which brings to it all its unique aromatic originality. The Bordeaux wine of the château classified as Second Classified Growth. Situated to the west of Cantenac on the Brane Plateau, this large 75-hectare estate is located on soils composed of a layer of quaternary gravel, mostly günz and mendel. The vines are 55% Cabernet Sauvignon , 40% Merlot , 4.5% Cabernet Franc and 0.5% Carmenère . The Lurton family was acquired in 1925. In 1925, the Lurton family became owner and oversaw the development of this fabulous estate. It made huge investments, particularly in the late 1990s, through a new vat made up of 1/3 of wooden vats, 1/3 of vats of concrete, and 1/3 of stainless vats, a true originality in The vineyards. The Bordeaux wines of Château de Brane Cantenac are aged for 18 months in barrels, of which 60% to 70% are new, which gives it this woody aspect. Achieving optimum quality has clearly been the philosophy of the Lurton family for years, with respect for the environment and the preservation of the terroir. 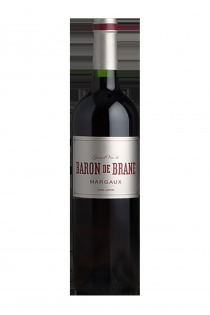 Baron de Brane - 2012 - Château Brane-Cantenac. 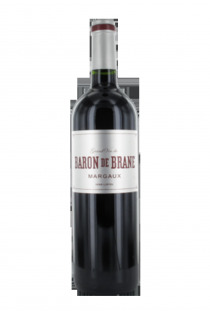 Baron de Brane - 2013 - Château Brane-Cantenac. 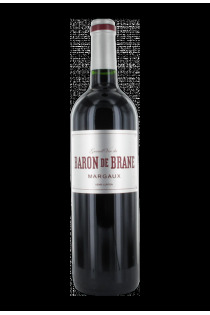 Brane-Cantenac - Margaux - Rouge - 2014 - Château Brane-Cantenac. Margaux - 2016 - Château Brane-Cantenac. 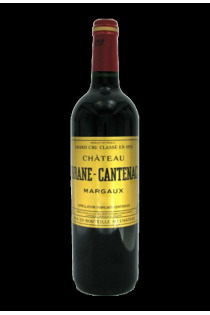 Margaux Second Grand Cru classé - 2010 - Château Brane-Cantenac. 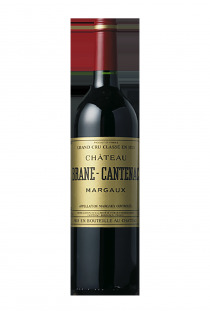 Margaux Second Grand Cru classé - 2012 - Château Brane-Cantenac.